Elementals of Life is the living, breathing 501(c)3 non-profit organization co-created by Marilyn and Tohmas Twintreess with their Spirit families in 1996. The Intent of EoL is Respect for All Life, Education, Peace, and its activities have focused on offering ways that humans can joyfully and respectfully join with all other Beings on the planet in fun/celebration, in sacred ceremony, and conscious evolution. EoL’s first project was a series of 4 Festivals of the Little People™, which took place on sacred land in northern Minnesota and northern Wisconsin in the late 90’s, and brought together humans from all over the world to join with each other and the Elementals, and the Devas, Gnomes, Faeries, and all others who chose to respectfully participate. The Festivals were no smoking/drugs/alcohol and were organic vegan events. 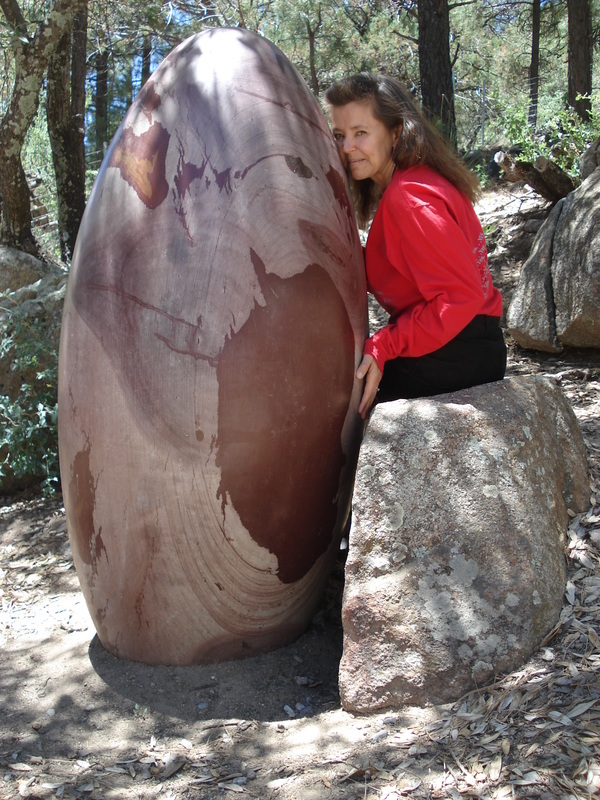 EoL’s latest offering, the Peace Across the Planet Project, began as an invitation from the Shiva Lingam Stones in June, 2008 for humans to join intentionally with them and the Earth Mother in anchoring the Intent for Peace throughout and beyond all parts of the planet, respectfully. Even if this doesn’t make sense to you in this moment, if you choose to allow it, you can feel what a profound gift it is. We open our hearts to you and invite you to join us now. Read what’s on this website. Call or email us with your questions. Contact the Intent Holder in your area, or consider becoming one yourself. Offer a tax-deductible donation to EoL to support the ongoing growth of this Project. Send us your ideas and inspirations, and co-create Peace with us, within all of us, Now.